Google has announced its latest technology project, a self-driving racing car. 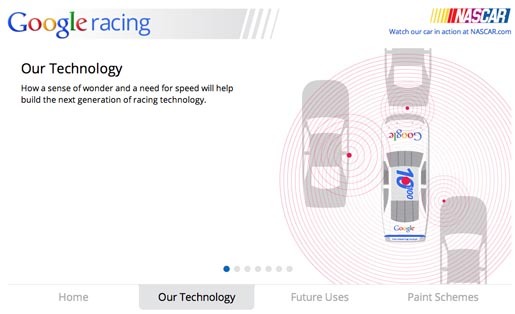 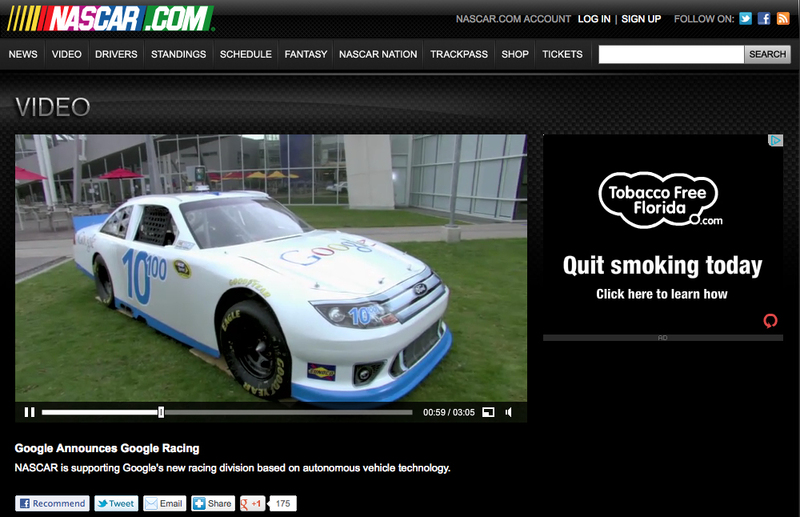 Sergey Brin wrote on the Google blog that the company has partnered with NASCAR to bring Google Racing to the world. 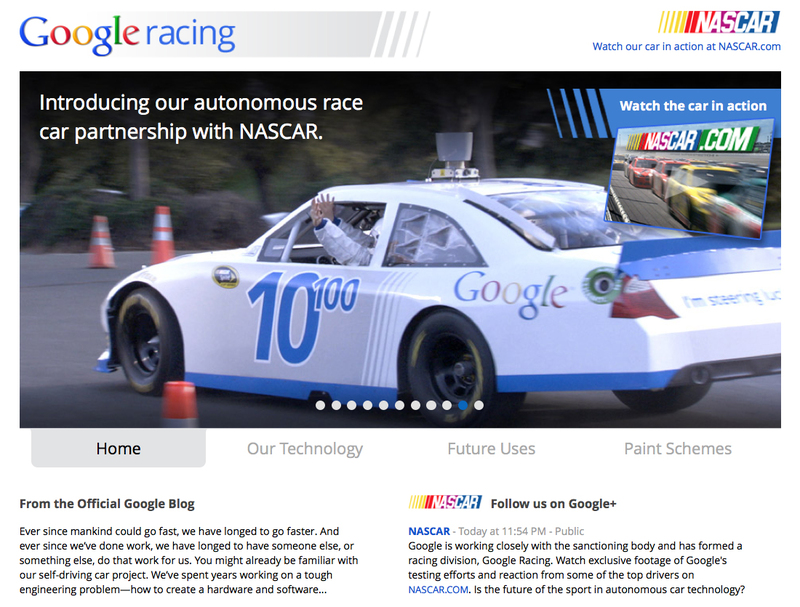 The campaign includes a post on the Google blog, the Google Google+ page and NASCAR Google+ page, a video on the NASCAR site, and a dedicated microsite, Google.com/racing.